There has been an increasing interest in multi-disciplinary research on multisensor attitude estimation technology driven by its versatility and diverse areas of application, such as sensor networks, robotics, navigation, video, biomedicine, etc. Attitude estimation consists of the determination of rigid bodies’ orientation in 3D space. This research area is a multilevel, multifaceted process handling the automatic association, correlation, estimation, and combination of data and information from several sources. 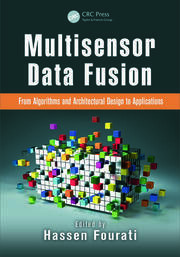 Data fusion for attitude estimation is motivated by several issues and problems, such as data imperfection, data multi-modality, data dimensionality, processing framework, etc. While many of these problems have been identified and heavily investigated, no single data fusion algorithm is capable of addressing all the aforementioned challenges. The variety of methods in the literature focus on a subset of these issues to solve, which would be determined based on the application in hand. Historically, the problem of attitude estimation has been introduced by Grace Wahba in 1965 within the estimate of satellite attitude and aerospace applications. 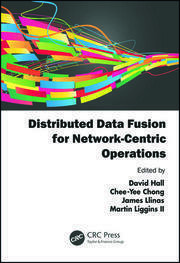 This book intends to provide the reader with both a generic and comprehensive view of contemporary data fusion methodologies for attitude estimation, as well as the most recent researches and novel advances on multisensor attitude estimation task. It explores the design of algorithms and architectures, benefits, and challenging aspects, as well as a broad array of disciplines, including: navigation, robotics, biomedicine, motion analysis, etc. 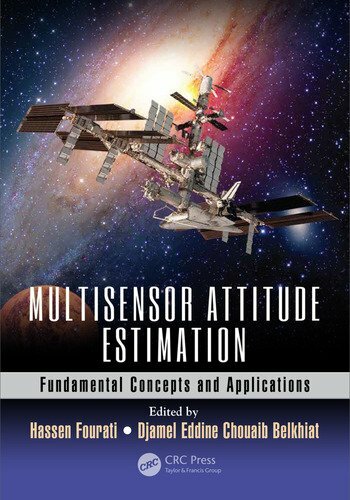 A number of issues that make data fusion for attitude estimation a challenging task, and which will be discussed through the different chapters of the book, are related to: 1) The nature of sensors and information sources (accelerometer, gyroscope, magnetometer, GPS, inclinometer, etc. 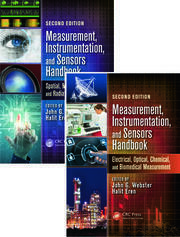 ); 2) The computational ability at the sensors; 3) The theoretical developments and convergence proofs; 4) The system architecture, computational resources, fusion level. Chapter 1 What Are Quaternions and Why Haven’t I Heard of Them? Hassen Fourati, PhD, is currently an associate professor of the electrical engineering and computer science at the University of Grenoble Alpes, Grenoble, France, and a member of the Networked Controlled Systems Team (NeCS), affiliated to the Automatic Control Department of the GIPSA-Lab. He earned his Bachelor of Engineering degree in Electrical Engineering at the National Engineering School of Sfax, Tunisia in 2006; his Master's degree in Automated Systems and Control at the University of Claude Bernard, Lyon, France in 2007; and his PhD degree in Automatic Control at the University of Strasbourg, France in 2010. His research interests include nonlinear filtering and estimation and multisensor fusion with applications in navigation, robotics, and traffic management. Dr. Fourati has published several research papers in scientific journals, international conferences, and book chapters. He can be reached at hassen.fourati@gipsa-lab.fr. Djamel Eddine Chouaib Belkhiat, PhD, is an associate professor in the department of physics at the Ferhat Abbas University, Setif 1, Algeria where he is also a member of Intelligent Systems Laboratory. He received the Bachelor of Engineering degree in Electrical Engineering from the Ferhat Abbas University, Setif 1, Algeria in 2007, the Master degree in Automatic Control from the University of Poitiers, France in 2008, and the Ph.D. degree in Automatic Control from the University of Reims Champagne Ardenne, France in 2011. His research interests lie in the area of monitoring and diagnosis of Hybrid Systems. Dr. Belkhiat has published several research papers in scientific journals, international conferences and book chapters. He can be reached at djamel.belkhiat@yahoo.fr.